Home » Sports » Football » How many years does Brady have left? The simple answer to this question is as long as he wants. The Kraft family will not allow Tom to ever wear another uniform. He will leave the game when he wants to leave the game. Now, that answer is not specific enough for most of you. I’m sure all of you want a specific age. You want to know how much longer the golden age of Patriot football will last. I have arrived at the answer to this question. Although many of you will not believe it, the answer is a simple math problem. The average life expectancy for people living in the US is 78.7 years old (thank you google for that fun stat). Quarterbacks max out their playing years at the age of 40. Also known as about halfway through life. 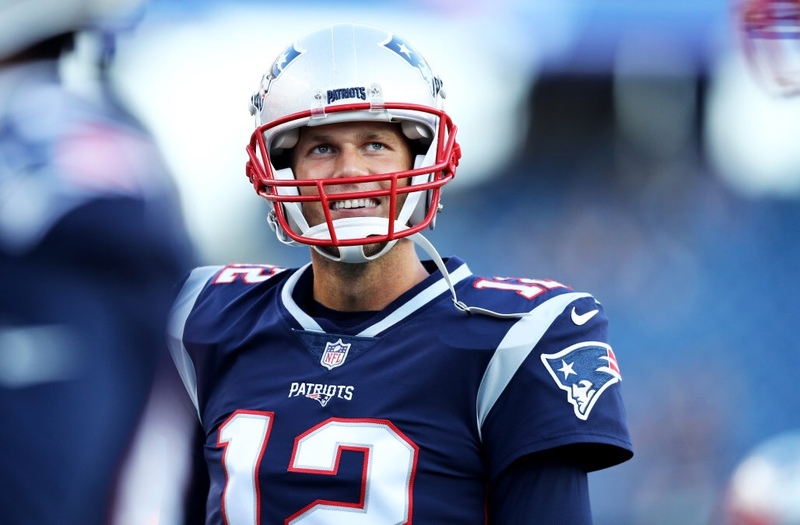 Now the golden boy, Tom Brady, is not average by any means. Do you know what Jesus calls Tom Brady? He calls him Dad’s favorite. Through a combination of the magic of Brady and the hotly debated TB12 method, I think we can all agree that Tom will live to the age of 150. In Parks and Rec Chris Traeger (Rob Lowe) said scientists believe the first person to live to 150 has already been born. I strongly believe that Tom Brady is that man. So halfway through Tom’s life will be 75. Therefor he will will play until 75. At 41 Tom’s got 34 years of playing time left. I used math and pseudoscience, so you can’t even argue with it. Long live Brady. Long live the Pats.